I am taking a break from the weather to talk about the 5.9 earthquake that hit most of the East Coast earlier this afternoon. The quake originated just north of Richmond Virginia. 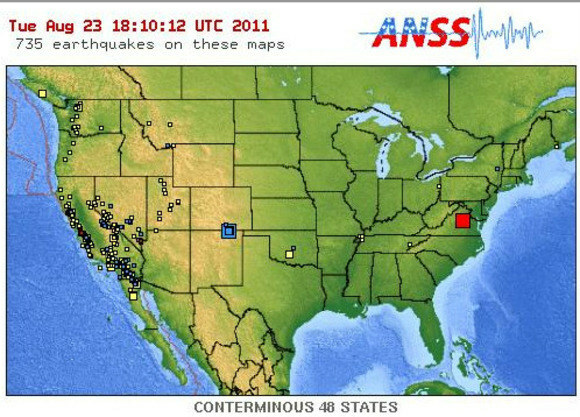 It was the largest quake in over 100 years in Virginia and one of the strongest recorded ever on the East Coast. Many office buildings were evacuated and many homes shook for 10-15 secs according to reports. For many people living on the East Coast, including myself, will not forget this rare strong quake anytime soon.